A federal judge is set to decide how much flexibility insurers that administer self-insured health plans have in limiting coverage for treatment of mental health and substance use disorders. The decision could have wide ramifications in terms of holding insurers to a standard in what has to be covered in the fast-growing behavioral healthcare segment. The case stems from two consolidated class action lawsuits filed in 2014 against United Behavioral Health, the nation's largest behavioral health insurer, that went to trial in October 2017 before U.S. Chief Magistrate Judge Joseph Spero in San Francisco. His decision in the consolidated cases, Wit v. United Behavioral Health and Alexander v. United Behavioral Health, is due out any time. The plaintiffs, who were United members denied coverage from 2011 to 2015 for residential and outpatient treatment, claimed United breached its fiduciary duty to its members under the federal Employee Retirement Income Security Act by adopting an unreasonable interpretation of plan rules. Those rules required coverage for treatment that was consistent with generally accepted standards of care. Experts say different insurers use widely different criteria for covering behavioral care, even though medical experts have sought to standardize those guidelines. For addiction treatment, many states require providers and carriers to use the criteria developed by the American Society of Addiction Medicine. "This case is a really big deal which should have a ripple effect on other insurers," said Ellen Weber, vice president for health initiatives at the Legal Action Center, who is not involved in the case. "The precedent would be that you have to ensure your standards really adhere to medically accepted standards of practice." The two classes of plaintiffs, including tens of thousands of people across the country, have asked the court to bar United from using coverage criteria that aren't consistent with generally accepted medical practices, re-evaluate all denied claims under accepted criteria, and adjust its claims payments accordingly. Both United and the Association for Behavioral Health and Wellness, an industry trade group, declined to comment on pending litigation. But United said in its post-trial brief that its guidelines "are a reasonable interpretation of the plans, were created in good faith, and are consistent with generally accepted standards of care." Some independent medical experts say insurers have tightened their behavioral health coverage rules in response to providers overusing expensive inpatient treatment when comprehensive outpatient services could be more effective and far less costly. A major issue in the case is the adequacy of United's coverage of behavioral and substance use disorders as chronic rather than acute conditions. The plaintiffs say United's guidelines inappropriately limited coverage once patients' symptoms subsided, rather than covering the range of services needed to maintain patient's stable health conditions over a longer term. "United was saying that for a patient in an acute suicidal or (opioid) withdrawal situation, 'We'll let you be in residential care for a week or two, and then if you're no longer acute, we'll kick you out," said D. Brian Hufford, a partner at Zuckerman Spaeder who is a lead attorney in the case. "Under generally accepted standards, providers would say the patient needed (longer) residential care to treat the underlying condition." Hufford called this an example of United using non-quantitative treatment limitations, or NQTLs, to deny claims. He and other critics say insurers, following the passage of parity laws barring explicit numerical limits on behavioral care that are different from limits on physical care, increasingly turned to using NQTLs. These undocumented utilization review rules and procedures, they say, can be significantly more stringent than the rules for medical care. Alex Acosta, Secretary of the U.S. Department of Labor, which has regulatory authority over ERISA-governed health plans, has called on Congress to give his agency the added power to impose civil monetary penalties against health plans that violate the federal parity law through use of NQTLs and other policies. He's also asked for explicit authority to investigate insurers that administer self-insured plans. Senate Democrats support those measures, while Senate Republicans have blocked them. 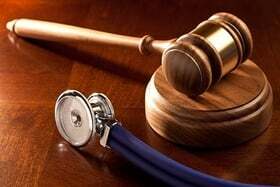 A few lawsuits have resulted in settlements in which large carriers such as Health Care Service Corp. agreed to revise their coverage policies on residential treatment and other behavioral healthcare services. In addition, there are other pending suits alleging unlawful coverage and reimbursement policies for behavioral healthcare against United, Blue Shield of California, Aetna and Cigna. DeeDee Tillitt, a member of the plaintiff class in California case against United, said the carrier's decision to stop paying for her son Max's residential treatment for heroin addiction and mental illness after 21 days contributed to his overdose death in 2015. That coverage cutoff occurred even though his doctor said Max wasn't stable and likely would relapse if he left the facility. Tillitt, a pharmacy benefits consultant who lives in Edina, Minn., and attended the three-week trial last year, said United used its guidelines that called for stepping her son down to outpatient care since he hadn't used heroin in 21 days and was supposedly out of crisis. Then the carrier abruptly halted coverage for his outpatient program, which upset him. UnitedHealthcare, which owns United Behavioral Health, did not respond to a request for comment. "What he went through was so heartbreaking," Tillitt said. "This is what he needed to keep him alive, and they could care less."